Health and safety are two words that become household byword when you have vulnerable family members, such as little children or elderly loved ones. Are you currently having these members at home? If so, allow us to share with you some important tips to promote the safety and health of these vulnerable members, especially the seniors. These tips we share are gathered from our years of professional experience providing home care services in West Hartford, Connecticut. You must have observed your senior loved one getting sedentary every day, as they can complain about joint pains or other illnesses. However, not moving their limbs can put them at even higher risk of health issues. On the other hand, engaging in regular physical exercises strengthens their bones and muscles, and even potentially enables them to function as if they’re younger by 10-15 years. 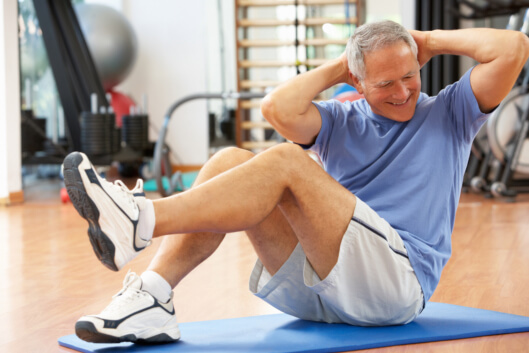 Encourage your aging loved to engage in doctor-approved exercises every day. Your aging loved one might need some more assistance from family members or a personal care assistant in Connecticut when it comes to their medications. This can be necessary when their adherence contributes to their quick recovery and health. Seniors may forget or find it difficult to take the medicines on their own. These assistants not only ensure that they can take their medications on time, but they also help your loved one to actually take their pills. Your elderly parent can be at risk outdoors or on the road, especially if they still prefer to drive on their own. When you perceive that driving is no longer safe for your aging parent, you have to be intentional in explaining this situation to them in a gentle and loving manner. To some seniors, this level of independence such as the ability to drive on their own can be sentimental that keeping them from doing so can greatly affect their emotions. But when you lovingly indicate the safety reasons, there’s a higher chance they will yield to you. Your aging family member is also vulnerable to people who will take advantage of their financial resources. There have been many cases wherein seniors fall into the trap of making payments or investments that are way too much just because they’ve been persuaded by strangers on the phone. Their credit card information is the frequent detail to ask. Aside from periodically checking on their credit card details and bills, it also helps to constantly remind them about not easily giving such information to unknown people. As the leading provider of homemaker services in Connecticut, we continue to encourage you to exercise sufficient amount of caution to secure your aging family members at home. This is also our way of showing how much we love and care for them. There are still many aspects that you can ensure the health and safety of your aging loved ones, but when you tap our help at At-Home Care Services, we can assist you in accomplishing them. This entry was posted in Senior Wellness and tagged Financial Scams, Managing Medications, Physical Exercise. Bookmark the permalink.